Many people who run have a similar goal – to get faster! If that’s you, it’s time to consider choosing running paces that will help you reach your goal. Once you’ve built your distance to include runs over 3 miles, you can plan a simple run test to choose the right training paces for you.. There are two reasons I recommend setting running paces early. First, most people run too fast on their daily runs. It’s rare for me to work with an athlete who actually runs faster on their long runs when taking this test. Running too fast on a consistent basis can lead to overtraining and injury, so it’s good to take that off the table. Second, most of us learn to run the same pace for every distance. This can be a tough habit to break when you want to start racing and get faster. The earlier you learn to train and run at different paces, the more natural learning to run faster will be! 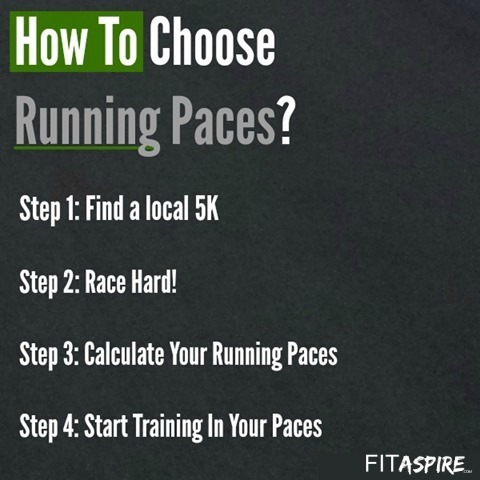 How do you choose YOUR running paces? If you’re ready to set your running paces, there are 4 basic steps you can follow to do it yourself. You can test without a race, but most people will get the best result at a race. The race atmosphere, the sense of competition of those around you, and the positive pressure of the clock will help you do your best. Search the web or ask at your local running store to find a race in your area. Now it’s time to race! Make sure you have a way to record the race time. If it’s a timed race, this is done for you. If it’s untimed, make sure you have a watch to record the result for yourself. Even better, use a watch at a timed race. I recommend recording your splits every mile, so you can see more about how you race. Make sure you go as fast as you can, you should feel wiped out when you reach the finish line! Now that you have the time for your 5K, you can use that as your baseline to calculate your running paces. Mcmillan Running (McMillanRunning.com) has a free online calculator that you can use to calculate a wide number of training paces (and predict other race times). Enter your finish time, choose the 5K distance, and click “calculate my paces”. I wouldn’t bother entering a goal race time, leave that section blank. On the results page, choose the training paces tab to see a list of recommended running paces. Use these to plan out your training schedule, selecting the appropriate paces for each run. You can also maximize your training by working with a running coach to plan out your training schedule. Now you’re ready to start running at the right paces for your current abilities, so that you can get faster in the future! You might start with these 2 speed workouts to improve your 5K time. 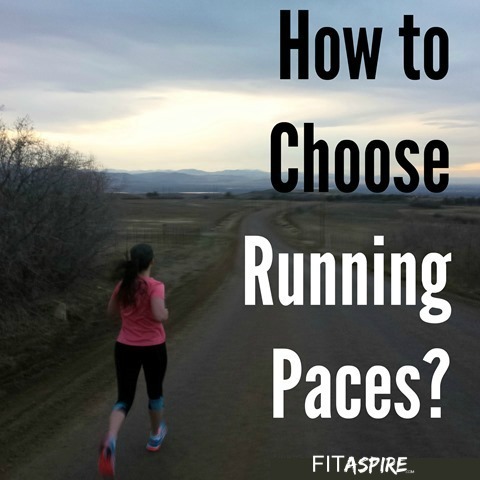 How do you choose what pace to run? Is one of your goals to run faster?